Leah Lewman has exhibited works in renowned galleries and art spaces across the country, in both solo and group contexts. @ The Artists’ Gallery in Historic Ellicott City, MD! 20% of proceeds go to the Ellicott City Partnership, to aid restoration and restructuring of the town since the 2 devastating floods in 2016 and 2018. University of Arizona Museum of Art, Tucson, AZ. Collection of artistic works in painting, drawing, 3D and multi media arts created by the graduating class of Spring 2017. Davis Dominguez Gallery, Tucson, AZ. Cartel Coffee Lab, Tucson, AZ. 2015 Detachments, Graduate & Alumni Gallery, Tucson, AZ. 2013 Incompleteness, Gallery 303, Salisbury, MD. 2012 Moments of Connection, Guerrieri Student Union Art Space, Salisbury, MD. 2016 Hot and Cold, Graduate & Alumni Gallery, Tucson, AZ. 2014 Two Channels Off The Sea, Bernice Kish Gallery, Columbia, MD. Pushing Paper, Barrett Art Center: Poughkeepsie, NY. The Built Environment, Orr Street Studios: Columbia, Missouri. Small Things Considered, Davis Dominguez Gallery: Tucson, AZ. Dancing for Claudia: Movement Through Words and Art, Columbia Art Center: Columbia, MD. HoCo Open 2018, Howard County Arts Council: Ellicott City, MD. Love in the Winter, The Artists' Gallery: Ellicott City, MD. 2017 Homecoming, Salisbury University Art Galleries: Downtown, Salisbury, MD. Healing Hands / Words of Inspiration, Columbia Art Center: Columbia, MD. Master of Fine Arts Thesis Exhibition 2017, University of Arizona Museum of Art: Tucson, AZ. Vast Vicinities, Cartel Coffee Lab: Tucson, AZ. 2016 All Art Arizona 2016, Art Intersection: Gilbert, AZ. Night Vision - Still Life, Exploded View Gallery: Tucson, AZ. A/R/T: Artist / Researcher / Teacher, Union Gallery: Tucson, AZ. Wet Paint MFA Biennial Exhibition, Zhou B. Art Center: Chicago, IL. 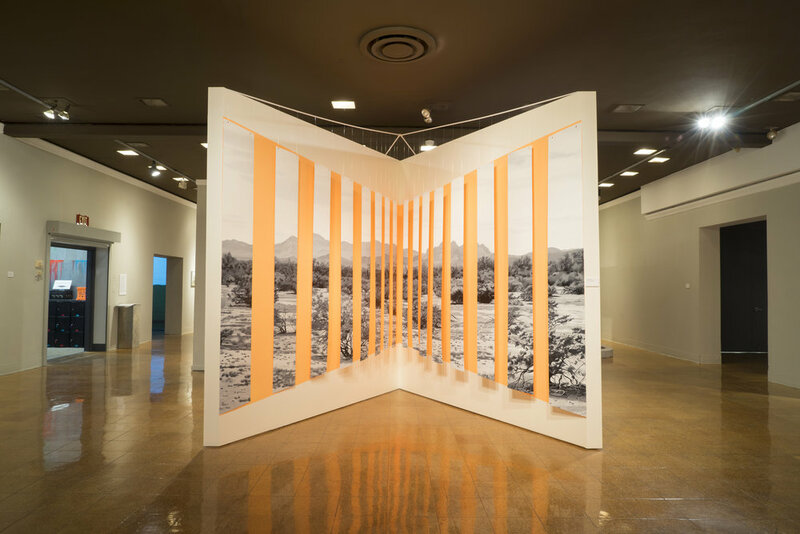 2015 Landscape at Escape Velocity, Fine Arts Complex 1101: Tempe, AZ. Evolvement: MFA Invitational, Lionel Rombach Gallery: Tucson, AZ. 2014 MISPLACED: six four two, Exploded View Gallery: Tucson, AZ. Things That Scare Me: Themed Invitational, Columbia Association Art Galleries: Columbia, MD. 2013 Ellicott City Plein Air Painting Exhibition, Howard County Arts Council: Ellicott City, MD. Beverly Bassford Memorial Juried Exhibit, Thaler Gallery - Ocean City Center for the Arts: Ocean City, MD. Emerging Artists, Galleria - Ocean City Center for the Arts: Ocean City, MD. 48th Annual Senior Fine Arts Show, Fulton Gallery: Salisbury, MD. 2012 Art Department Technician Show, Gallery 303: Salisbury, MD. 21st Annual National Juried Exhibition, Art Institute & Gallery: Salisbury, MD. Grow, The Ward Museum of Wildfowl Art: Salisbury, MD. Expression and Interpretation, Gallery 303: Salisbury, MD. Drawing School, Q Gallery, CCBC: Catonsville, MD. Light and Form, Cool Beans Gallery: Salisbury, MD. 2011 New Beginnings, Cool Beans Gallery: Salisbury, MD.